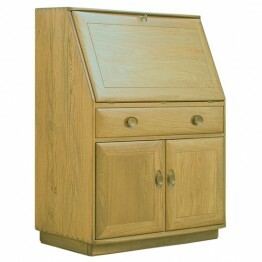 A practical compact size, when opened provides a workspace for laptop, notebook storage with appropr.. 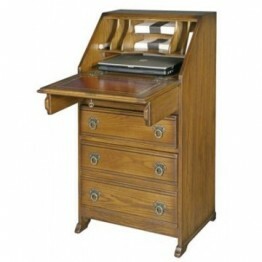 This is the 2808 Bureau from Old Charm Furniture. 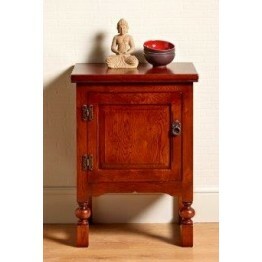 The wooden racking system inside is loose and can ..
2981 Wood Bros Old Charm Single Door Pedestal Chest which is available in the complete range of Old .. 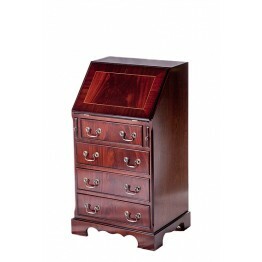 This is the Ladies bureau which has a drop down top flap and also drawers below. 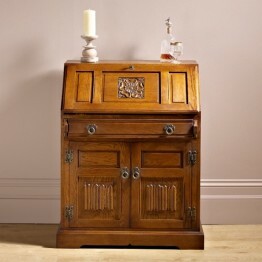 The front has a lin..
Ercol Furnitures 3860 Windsor Bureau which has removeable partitions inside and access holes for ele..